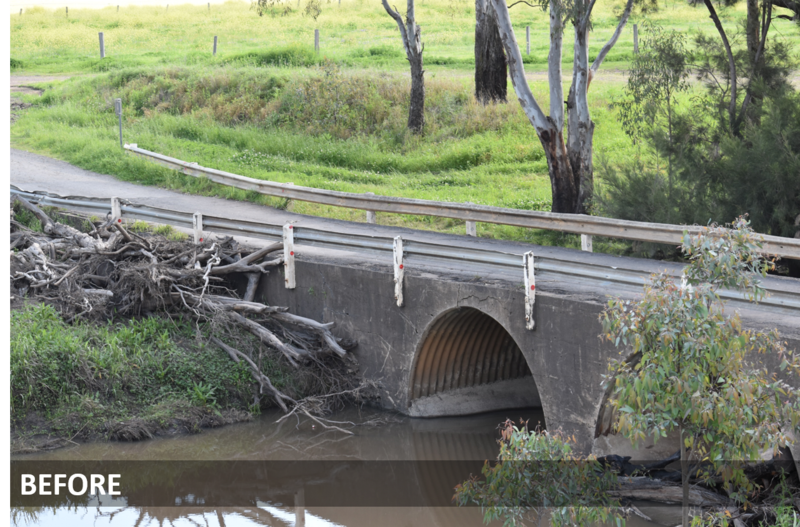 Condamine River, which runs through Warwick, rises considerably during floods or constant rains lasting for weeks or months. 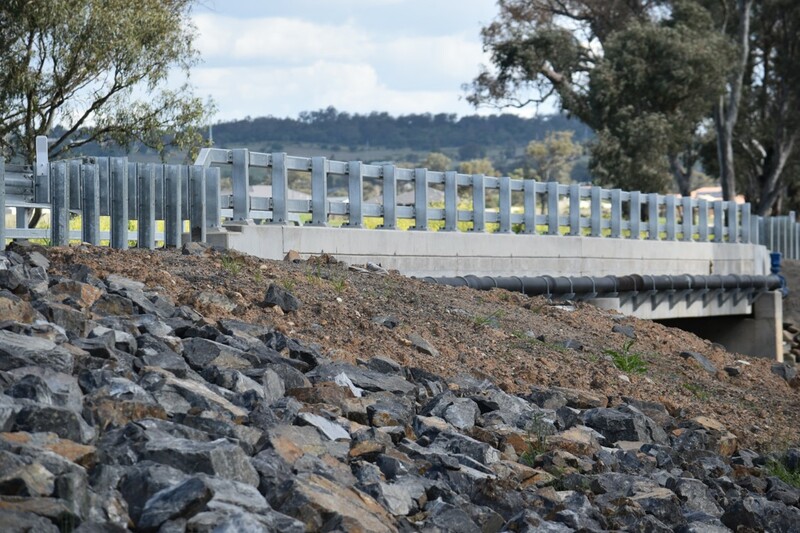 The bridge over the river, the Lyndhurst Lane bridge, located on the outskirts of Warwick, is a 29m single-lane structure consisting of three corrugated elliptical culvert cells, with a width of four metres. The bridge was in poor condition, with a narrow width that posed additional risk to the traffic. More importantly, its poor condition made it impossible for Lyndhurst Lane users to cross safely. Lyndhurst Lane connects the Cunningham Highway with Warwick-Allora bypass, offering an alternate route to Toowoomba when the Warwick-Allora Road is flooded over at the nearby railway bridge. The Council identified a need to undertake a replacement of the old Lyndhurst Lane bridge. Make the Lyndhurst Lane bridge safe for residents and travellers during flash floods and constant rains. Replace the old bridge with a structure designed to be invulnerable to flood waters. 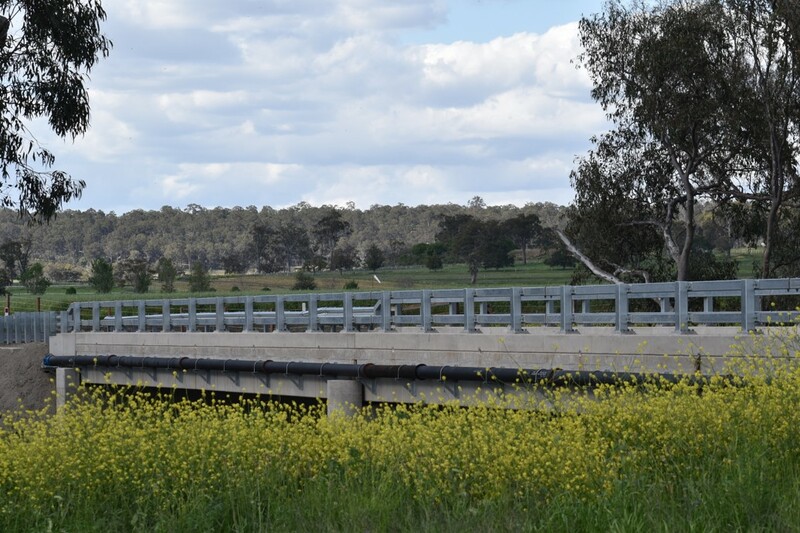 The State Government funded and launched a $2.76million project to demolish the old bridge and construct a two-lane bridge over the Condamine River. The design for the new bridge is a three-span, 40m reinforced concrete bridge with a 9m width. The new bridge is expected to only be susceptible to high-end flooding, which only happens once in 50 years. The design of life of the new bridge is about 100 years, but it is expected to last longer. 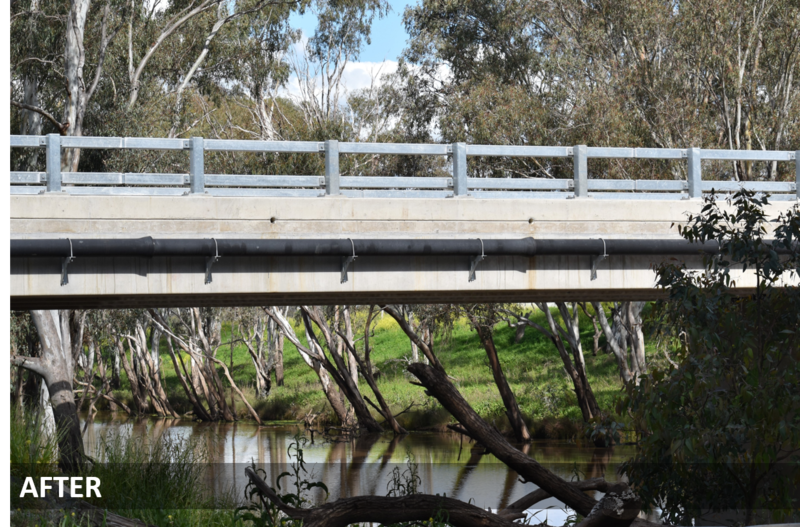 By upgrading the bridge from a single-lane bridge to two-lane concrete bridges, with high-quality steelwork, Lyndhurst Lane users are expected to enjoy better, safer and more reliable road access. Kenro’s welding and metal fabrication products and services are available throughout Australia and overseas. We can provide steel bridge fabrication products custom-made to your specifications. For questions on our past projects and services, or concerns regarding how we can meet your needs, contact us at (07) 4699 9888.